"Not a reissue, not a compilation, but something complete new. 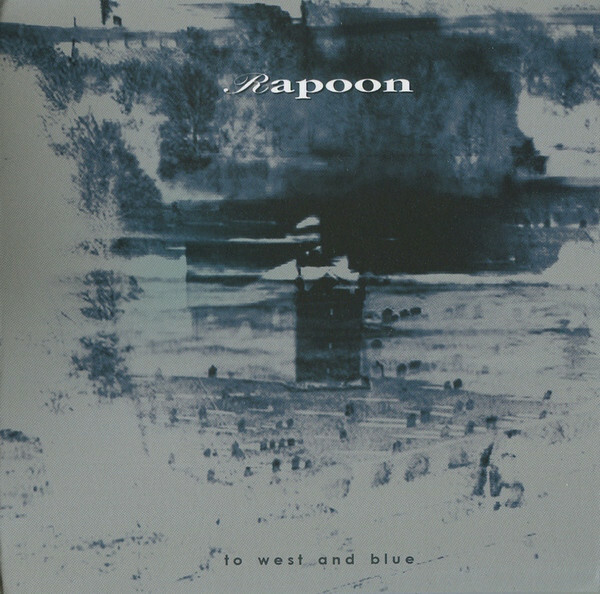 "To West and Blue" is 50th Rapoon album and 5th Rapoon release on Zoharum label. And this one will become a staple in our CD players for long time. 7 long, slowly evolving tracks appealing to your subconscious side. An album that is definitely not to everyone's tastes. This one gradually grows on you until you are captivated by its haunting beauty. But there is an underlying uneasiness in it. A sort of clash between reality and a ghost world or a world that is long-gone. With choral voices hidden beneath layers of treated sounds, "To West and Blue" is a stand-out album among Rapoon numerous releases. Robin Storey talks about this album: These pieces are about the area grew up in in the UK. A peninsula of land which stuck out into the Solway Firth. Surrounded by the sea when the tide was in and surrounded by endless mudflats when the tide was out. When the water covered the ground the line between the sea and the sky was almost non-existent. A diaphanous boundary. The sea came in from the West where the huge skies hung without end in a vault of blue. The CD is housed in gatefold sleeve in the vein of Japanese-style vinyl replica and is strictly limited to 500 copies.